In 1971, legendary singer-songwriter Carole King released the Tapestry album - a release that has earned cultural marks for its relevancy and social impact and set sales records for its remarkable commercial success. (It is one of the best selling pop albums of all time!) 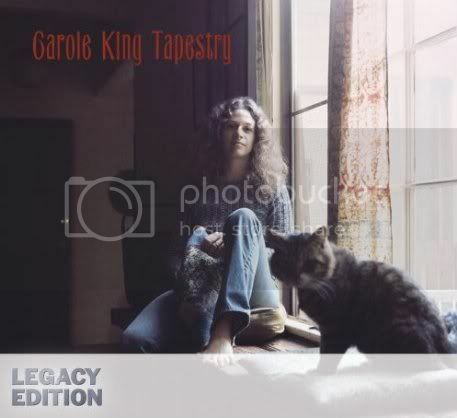 Tapestry, while just one of many quality Carole King records, single handedly powered the singer to a career unequaled by most modern musicians. King has won four Grammy Awards (deserving, arguably, more than that) and she has already been inducted into both the Songwriters Hall of Fame and the Rock and Roll Hall of Fame. Here in 2008, we look back at King's career with the new remastered "Legacy Edition" of Tapestry and through the 2007 release of King's "Welcome to My Living Room" special edition DVD which captures amazing footage of her most recent tour. King is an iconic figure. Without her voice and her vision, where would all those edgy, vulnerable-yet-strong songstresses, banging away at pianos and guitars, be?! (This means you, Sara Bareilles, Tori Amos, Amanda Palmer, Jewel, Alanis Morissette, Jenny Lewis, Lily Allen, et al. - not to mention our 80s Pop Princesses Tiffany and Martika.) Her simple style and ability to turn everyday observations into anthems is the backbone of the Americana, indie and folk traditions we currently celebrate. Where I come from, we having a saying: "Know your roots." And if Carole King was good enough for The Animals, Aretha Franklin, The Monkees, James Taylor, and Blood, Sweat, and Tears, then surely she merits a moment of your attention. I recently took in King's "Welcome to My Living Room." The concert, almost 2 hours of music and stories, portrays all the intimacy the name implies. The stage for "Living Room" is set with furniture, lamps, a rug, and of course, one unassuming Yamaha piano. 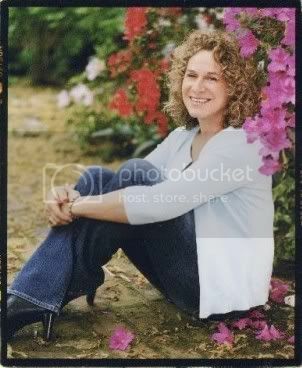 Silly as it may sound, you feel like you're in Carole King's actual living room and that she's talking directly to you. She's every part as transparent and self-aware as you always imagined she would be. This is theater! Storytellers: King, along with friends Gary Burr and Rudy Guess, shares the histories of some of the world's favorite songs with familiarity and ease. Carole tells the (true) story behind her emergence into the songwriting scene and communicates with humility and humor. She even convinces the male portion of her sold-out audience to unabashedly sing along with "(You Make Me Feel Like) A Natural Woman." 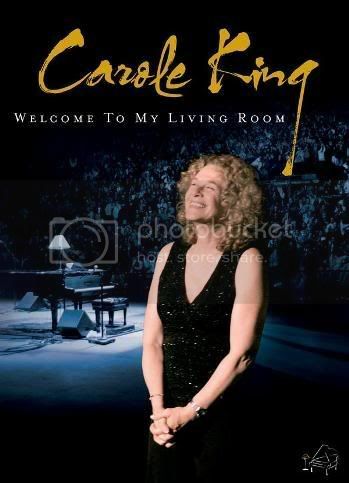 Best of all for true music fans - it's obvious Carole King still loves what she's doing. She shimmers with the adrenaline of performing to a packed house and the sheer joy of doing what she was born to do. This doesn't reek of greed (and really, who doesn't despise a self-indulgent, this-is-clearly-for-the-coffers "reunion tour" concert?). The woman takes the stage the sweetness and chagrin of Sally Field's 1985 Oscar acceptance speech and delivers a fun, feel-good show. Do yourself a favor and check it out. It will make your heart smile, and you will find yourself singing along, even if only on the inside. Favorite Bonus Feature: Songwriting 101 - The DVD captures a part of the show where King, Burr, and Guess teach the audience how to write a song. Every night is brand new, unrehearsed, on-the-spot magic. It's hard to explain how King's prowess and grace infuses every venue with a sense of community and light-heartedness.